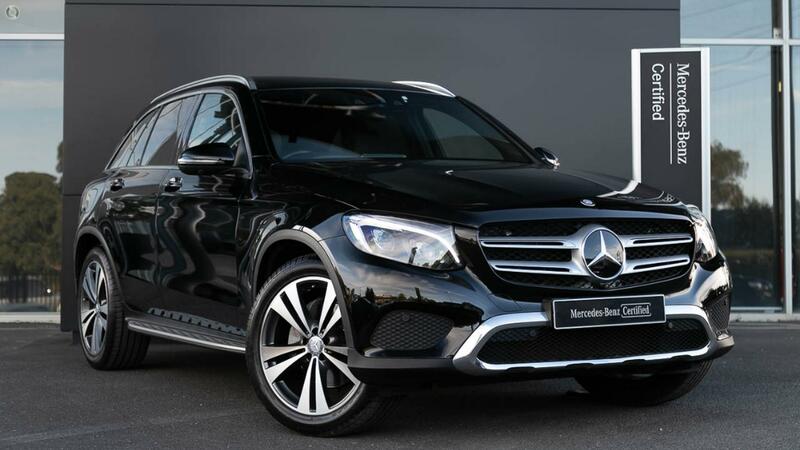 Australia's Most Awarded Mercedes-Benz Retailer proudly presents this Certified low kilometre petrol-powered GLC250 4MATIC featuring Fully-Factory-Backed Warranty right through to September 2021! Highly specified and perfectly presented in Jet Black over soft Anthracite Leather equipped with Vision Package including Head-Up Display and COMAND GPS Satellite Navigation Package with LINGUATRONIC voice activation as well as KEYLESS-GO with hands-free access and Driver Assistance Package PLUS with DISTRONIC PLUS. Take the wheel of your incredibly capable GLC250 4MATIC SUV with absolute confidence - ONLY from a Certified Mercedes-Benz expert and the reigning "Mercedes-Benz Metropolitan Retailer of the Year" again, for the 5th time in 6 years! - COMAND Online with 21.3cm TFT colour display, HDD navigation with RDS-TMC, touchpad, single disc CD/DVD player, 10GB music register, Bluetooth interface, LINGUATRONIC voice activation & internet access. - Panoramic glass sunroof with two roller sunblinds & heat-insulating glass. - 12V socket in luggage compartment. - Waistline trim strip in chrome.